You've had the household incontinence blacklist, now we're giving you the medication blacklist! Obviously, if you have a severe heart condition, we're not recommending that you suddenly stop taking your medication; we just want our Kegel8 followers to be informed and aware. Alpha-adrenergic blockers - commonly used to treat hypertension aka high blood pressure. However, they relax the bladder and urethra which can cause and worsen stress incontinence in some women. Statins - HMG-CoA reductase inhibitors are a class of drugs prescribed to lower cholesterol levels by inhibiting the enzyme HMG-CoA reductase, which plays a central role in the production of cholesterol in the liver. Side effects have been noted to increase urine production causing overactive bladder, urine incontinence and urine retention.The leading statin drugs are Lipitor (generic name atorvastatin), Crestor (rosuvastatin), Mevacor (lovastatin), Pravacol (pravastatin), Zocor (simvastatin) and Lescol (fluvastatin). Cholinesterase inhibitors - goes under trade names like Aricept and Exelon, they are used to manage symptoms of Alzheimer's and dementia. However, they can increase the frequency of bladder contractions and worsen urge incontinence. Anticholinergic effect-drugs - these drugs are used to block neurotransmitters in the brain and are used widely to treat a number of things from depression to Parkinson's disease. They can worsen incontinence as they interfere with bladder contraction. Opioids - treatment for serious pain relief such morphine and codeine. However, these drugs interfere with the bladder and can cause overflow incontinence. Hormone therapy (HRT): The oestrogen-progestin combination in HRT can cause or worsen the incontinence in some women. Yet another addition to our ever growing list of HRT: shall I, shan't I take it? Diuretics - also known as water tablets. These do exactly what they say, they stimulate your body to secrete more water and salts out of your body in the form of urine. 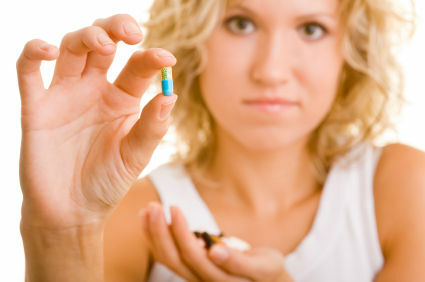 Sleeping pills - sadly that's right, you might not get the usual signals to wake up when your bladder is full. If you are on any of these medications and feel that they are indeed worsening your condition, why not have a chat with your GP to discuss other possible options that may not interfere with your incontinence? Until then, keep doing your kegel exercises! Kegel8 Ultra 20 has a range of 20 clinically-proven programmes that help to treat every kind of incontinence as well as helping to improve intimate sensation and general pelvic floor workouts too.